Jeep's team apparently wants to be sure that the Wrangler-based pickup can take the punishment of going off-road. We haven't seen spy shots of the Jeep's Wrangler-based pickup, reportedly called the Scrambler, in a little while, but it has been worth the wait. A few new photos from the Jeep Scrambler Forum provide a great look at the truck doing some real work on the famous Rubicon Trail. There are at least two Scrambler test mules in these photos. One of them has Y-spoke wheels and the number 258 on the front fender. The other truck has black wheels with five slots in them and a United States Department of Transportation identification number on the driver door. 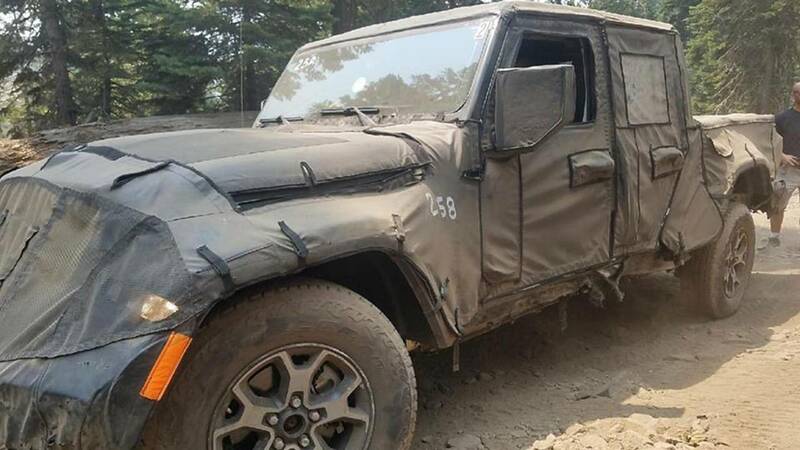 Both vehicles are heavily camouflaged, but it's clear that Jeep's engineers aren't testing them lightly. There are big rips in the fabric covering that conceals the body, especially along the lower body where these pickups are crashing against rocks. That state of the rear bumper also causes concern about the truck's departure angle among some commenters to this thread on the Jeep Scrambler Forum. There are big tears in the concealment back there. The corner of the bumper seems to be damaged and sitting askew in the image below. This up-close perspective also provides a good look at the size of the pickup's bed, and it's quite large. There appears to be plenty of room back there, whether you're hauling gear into the wilderness or loading up bags of mulch. The passenger compartment appears to be nearly the identical size of Wrangler Unlimited, so there should be plenty of space in there, too. Given its Wrangler bones, the Scrambler will share the same powertrain range. The 3.6-liter V6 with 285 horsepower (213 kilowatts) and 260 pound-feet (353 Newton-meters) of torque and 2.0-liter turbocharged four-cylinder with 270 hp (201 kW) and 295 lb-ft (400 Nm) of torque will carry over. The lineup will also get a 3.0-liter V6 turbodiesel eventually. 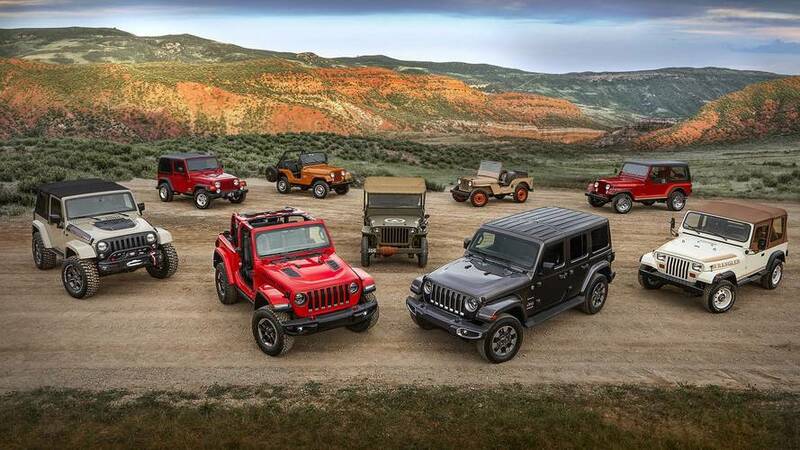 Jeep will build a hybrid Wrangler, too, but the company won't say yet whether electrification will come to the truck. The Wrangler-based pickup will go on sale in 2019, but the production model will possibly have a debut before the end of the year.